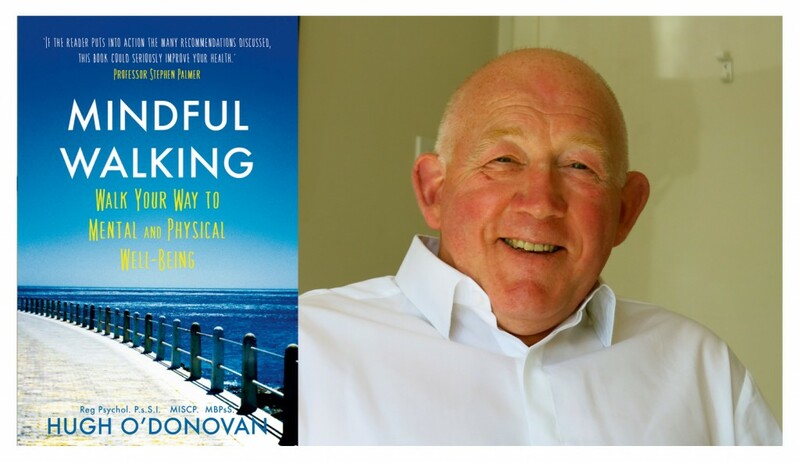 We’re delighted to be collaborating with acclaimed psychologist and author Hugh O’Donovan to host a day of Mindfulness at the world-famous Ballymaloe on Saturday, November 14th. Our purpose at Smarter Egg is to help you raise your game. There is now overwhelming evidence that developing mindfulness practices will help you improve your concentration, your ability to handle increased pressure and stress, and your capability to broaden your perspective when making decisions. If you’ve never experimented with mindfulness or if you’re keen to develop your mindfulness practice further, then you’ll benefit greatly from spending a day in the company of Smarter Eggs working with someone as proficient and inspirational as Hugh. Just read his interview below, or enjoy the video of his talk from one of our Smarter Egg events. The environment at Ballymaloe has been carefully chosen to help you slow down, to give you space to reflect. And yes, we’ve arranged for some delicious food too! Events of this nature are strictly limited in size, so early registration is advised. As part of this workshop you will also get a copy of Hugh’s book, Mindful Walking, and a delicious lunch in Ballymaloe House. Hugh, what is mindfulness, as you understand it? Mindfulness is about bringing a particular intention, focus of attention and attitude to the present moment of your experience, whether good, bad or indifferent, with greater clarity and judgement. In the working context, how can mindfulness improve our performance? The educational system prepares us to work. It very much gives us the basic knowledge, skills and competencies to intellectualise and problem solve. However this system seems not to take account of the non-linear way the mind works and the amount of time we are actually sleepwalking and away from the present moment, daydreaming, fantasising, obsessing, regretting, worrying about stuff that might never happen or blaming ourselves about stuff we might have done better. This is what Tim Gallwey calls interference, and much of it constructed in our own heads with significant implications for our performance, health and well-being in work. In that sense we can be very much the servant of our thinking and not the master as can be the case with the practice of mindfulness. Gallwey also says that performance equals your potential minus this interference. There is of course more to mindfulness than just that performance. Army snipers can be very present focused and mindful but to what end? In your professional work, where are your clients/students experiencing most challenges? Most of the issues encountered in my work arise around perceptions and a lack of awareness of the automatic way we tend to engage with our lives generally and the work we do. In particular because we spend so much time in work, that work is important to the way we define ourselves generally. Issues around confidence and the way we manage and lead others is a recurring theme in the workplace as is the stress arising in these demanding work environments. In many ways this is the challenge of mindfulness. In a world of life and work which is in many ways encouraging us to speed up and be available 24/7 and also giving us the tools to do so, we need to slow down and be more present in our place of work for ourselves and those we work with. Why are you collaborating with Smarter Egg? One word captures the overlap between the work I do as a Coaching Psychologist and the good work done by Smarter Egg: reflection. In the busy world of doing well we also need a space for being well. To do that you need to take some time out to robustly challenge your own beliefs and the rules you apply to yourself and others. That is not always about business plans and marketing strategies. It is about your own sustainability and also your place in the wider challenge of sustainability generally. Never before have we needed to create the time and space to grow our emotional fitness and intelligence. Mindfulness is part of this process of learning and development. What prompted you to write your book, “Mindful Walking”? A recurring theme in my own journey from Soldier to Psychologist has been performance generally. A recurring question associated with that has been; How do you keep yourself in contention on what is a marathon and not a sprint? Setbacks are inevitable; How do you deal with those? Success can also arise; How do you deal with that also and not lose the run of yourself as many do? In everything that we do there is also the question; What are we doing this for in any event? Beyond putting food on the table is there more? We can talk about that challenge and share it. (Men can struggle with this). We can move and exercise and shift our perspective in simply going for a short walk. Modern science is pointing to the need to move, and move regularly. We can become more mindful of the interference that may be adding to our already heavy load. Put the three together and you have Mindful Walking as a practice. This entry was posted in Coaching, Smarter Egg Training on October 20, 2015 by Aodan Enright.